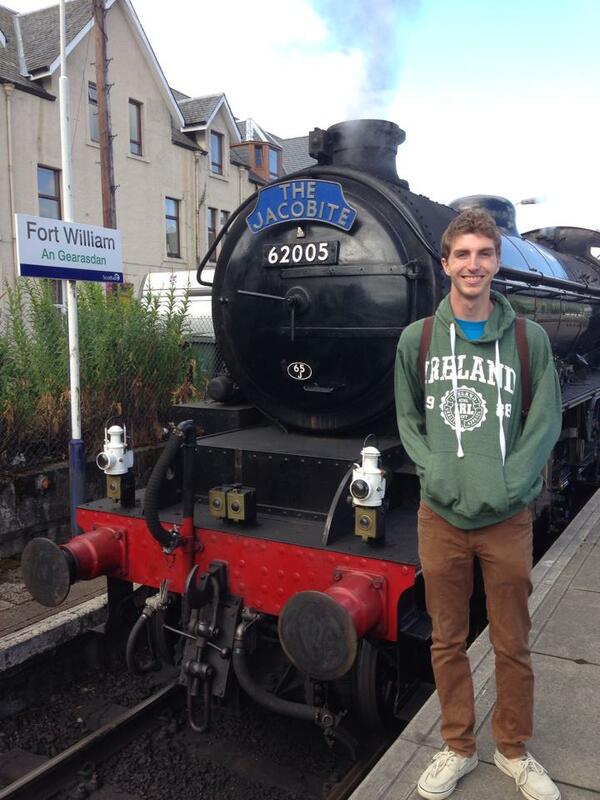 Above: Kevin Studer with the train used for the Hogwarts Express in “Harry Potter and the Chamber of Secrets.” K. Studer. This summer, I spent one glorious month in Dublin, Ireland and I have to say it was one of the greatest experiences of my life. My experience at American College Dublin was great. In addition to classes, the professors and staff fully immersed us in the Irish culture and helped us make the most out of our time abroad. As a journalism major, it was great taking a creative writing class. One of the really cool parts of that class was that we learned in Oscar Wilde’s childhood home. I was definitely able to break out of my element overseas. Speaking to the locals and experiencing new foods are two of the most important parts of studying abroad, and we definitely embraced it. One of the benefits of going over the summer is that we only took two classes and had so much time to travel. There were so many beautiful areas to hike and see the sights of the country. At one point, we were resting in front of someone’s house on a hike and later found out it was Bono’s. A small group of us traveled over to Scotland as well. In three days, we traveled over 500 miles of the scenic country. We took a river cruise on Loch Ness, rode the actual Hogwarts Express across the track featured in “Harry Potter and the Chamber of Secrets,” and visited the castle where the exterior shots of the first two “Harry Potter” movies were filmed. There are so many memories that I have from the trip that will last a lifetime. I was happy to spend my time their with eight other Lynn students, but also make new friends with people from all over the world. Studying abroad is the greatest experience and I recommend it to everyone who is interested. This article first appeared in the iPulse on Sept. 18, 2014.